The Forecast is a music series, hosted by sibling duo Rome J & Morgan Elise Johnson, which predicts the next wave of Chicago artists. This episode includes rappers Queen Key, Cassius Tae and our feature artist, Lil Blessin. We had no idea what we were getting into when we opened this email from a kid named Lil Blessin. Once we dropped the first episode of The Forecast in April, every underground artist looking for exposure sent their Soundcloud links and MP3s to our inbox. So it didn’t take long before these emails became routine. But Lil Blessin’s message demanded our attention. It wasn’t like those overly-perfected mass emails sent out by artists managers and publicists, or those half-assed emails from artists who only go as far as including a link with no context or introduction. 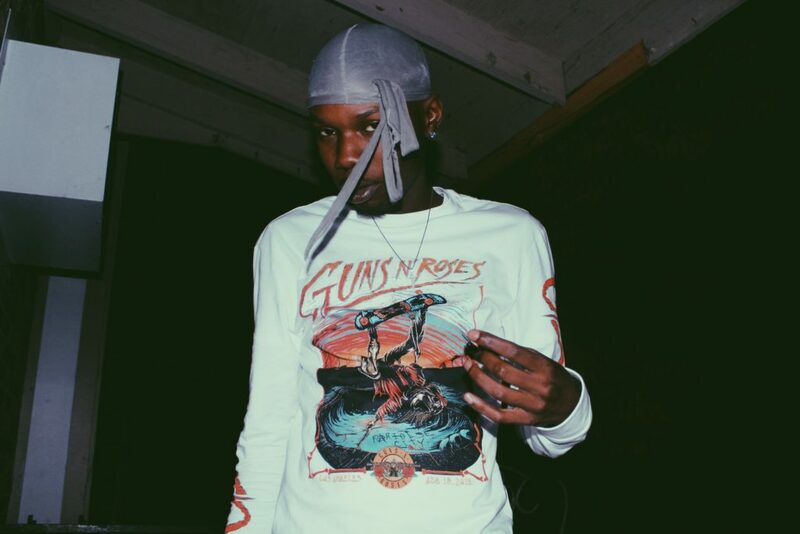 In so many words, Lil Blessin told us exactly who he is and why we should be rocking with his track, “RunnatBack.” And, he wasn’t lying. Lil Blessin doesn’t ease listeners into “RunnatBack” by letting the beat run solo for a few counts like most songs do. He comes in spitting fire, off tops – without allowing himself or even his listeners to catch a breath. Then, unexpectedly, he backs off the dizzying beat just in time for what sounds like a sped-up mariachi band to shine underneath a scene of SpongeBob Squarepants robbing a bank. Raised off LeClaire Avenue and Thomas Street on Chicago’s West Side, Lil Blessin earned his moniker after beating cancer twice. He was diagnosed with lymphoma, a type of blood cancer, at 19 years old. Though he’d been rapping since age 14, Lil Blessin relied heavily on music to keep his mind off his illness. 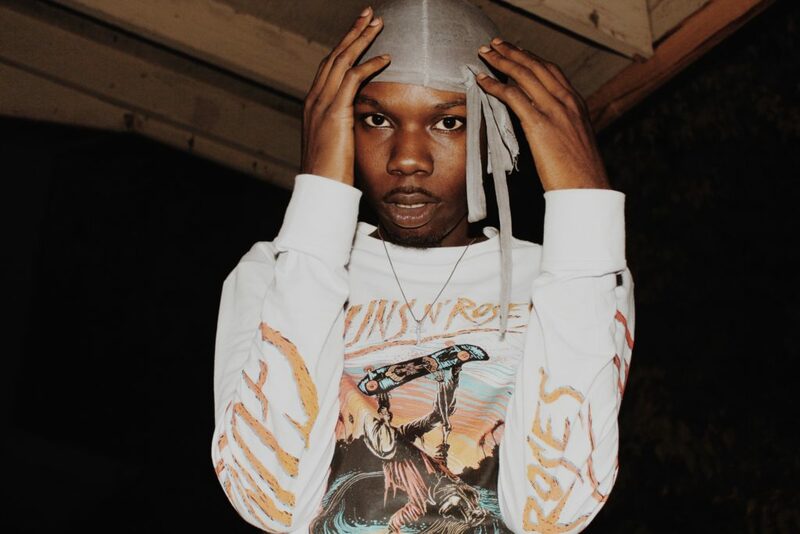 “I know people ‘gon look at the cancer thing as something that makes me stand out from others, but I don’t think about it like that,” Lil Blessin explains. He asked us not to include his birth name in the story. Lil Blessin is a chameleon, changing colors to adapt to any style of music dangled in front of him. His mother raised him on 1990s game-changers such as Missy Elliott, he says. So he has an eclectic taste for music compared to other 90s babies. This is evident on his latest EP, #HappyBirthdayBlessin, which he dropped in October to celebrate his 23rd birthday. He flexes his 90s R&B sensitivities on the tape’s third track, “Late Valentine.” He then turns right around and switches up his flow on track No. 4, “Youseeit,” where his sliding in and out of random pockets of the beat somehow works for him despite feeling unpolished at times. The tape ends abruptly with his final track, “Lil Big Tigga Freestyle,” where Lil Blessin illustrates the endless possibilities of his sound. However, our minds are left to wonder because the EP ends way too soon – or, at least, it feels that way since most of his songs are less than three minutes in length. His fun personality and play on words in “Lil Big Tigga Freestyle” shines through, likening his ability to make something out of nothing to Big Tigger’s Rap City: Tha Basement. It’s a good coda that leaves listeners wanting more. Rome J: Lil Blessin is on the right track to becoming a star, but he’s hard to find online. He’s not searchable on the web, which is detrimental in the streaming age. He has to get his weight up in terms of social media/YouTube presence and live performances so people can discover his music. If he builds a solid team, he’ll be able to push his content to a larger audience. With that said, Lil Blessin is a hitmaker. I like every single track.